LIKE FIREFLIES. Two thousand runners gather at Tanay Park, located at Tanay, Rizal Saturday night, for COLOR MANILA’s CM Blacklight Run. 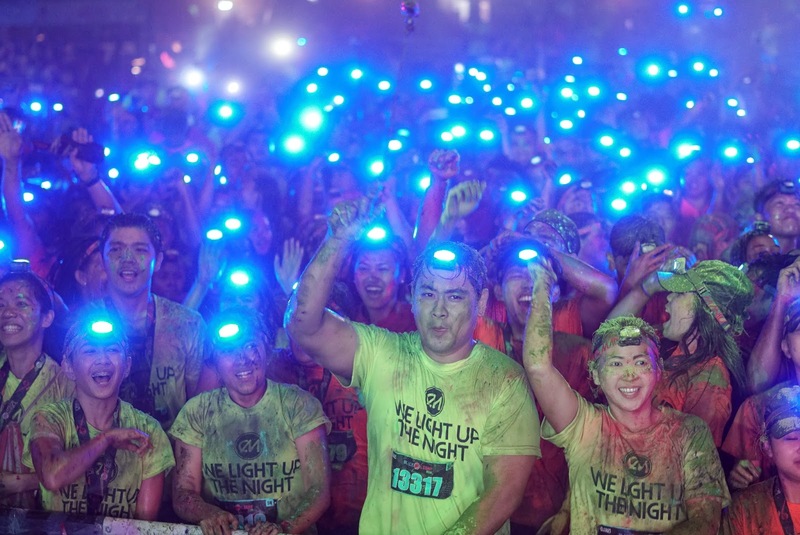 Two thousand runners participated in COLOR MANILA’s CM Blacklight Run, which took place at Tanay Park, in Tanay, Rizal last Saturday night. This was COLOR MANILA’s second event held this year at Tanay, Rizal, with the first one taking place early this year. Runners had the option of choosing between 3K, 5K and 10K and had a blast enjoying the color festival, which took place at the end of the evening. COLOR MANILA’s next CM Blacklight Run will be held at Clark, Pampanga on December 2, 2017. Last year’s end of the year affair at Clark, Pampanga, gathered an estimated 6,000 runners. Human resource is considered as the most valuable asset of a company and Suzuki Philippines Inc. recognizes this. Known as the manufacturer of superior quality Suzuki Motorcycles and the exclusive distributor of Suzuki Automobile, Suzuki Outboard Motor and Suzuki Genuine Parts (SGP) in the Philippines, the company takes pride in its highly competent workforce that provides exceptional service and care to every Suzuki product available in the market today. 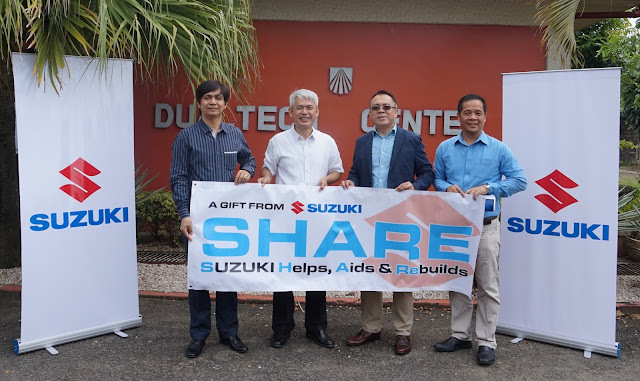 Suzuki Philippines continues to provide local employment opportunities as part of its social responsibility through the Suzuki Foundation Inc. and its Suzuki Helps, Aids and Rebuilds (SHARE) program to help uplift the country’s economy and along with this is its ongoing partnership with Dualtech Center. Dualtech Center is a project of Dualtech Training Foundation Inc. and is a private vocational school project that pioneered in adapting the German Dual Training System in the Philippines. It aims to help alleviate the widespread poverty in the country by offering a 24-month course focusing on holistic development of students centered on technical skills, work attitude and personal discipline through wherein pupils were taught at the school and the industry. Suzuki is one of Dualtech’s partner companies which provide the students with in-plant training. The partnership started in 2012 when the Japanese giant moved its motorcycle manufacturing plant in Canlubang, Laguna where Dualtech Center is located. The deployment of dual trainees in Suzuki after their 6-month training at school provided venue for them to learn-by-doing with working opportunity in an actual plant environment with compensation. This set-up is also beneficial for Suzuki as it helps the company to solve the skills mismatch thru the development of homegrown talent/skilled trainees who has the potential to be absorbed as full time employees and eventually supervisors and managers in the future. To date, Suzuki has already accommodated around 150 in-plant trainees; more than 10% of them were taken in as regular employees. Other than providing a venue for in-plant training, Suzuki is also extending aid for the Center’s various needs. The most recent is the establishment of its cafeteria so that students can dine in a more conducive environment rather than the existing kubos that they currently have now. The ceremonial turnover of donation was held during Dualtech Center’s celebration of its 35th Founding Anniversary at the Partners’ Recognition Day on October 26. Present at the turnover were Dualtech Center’s President Mr. Arnolfo Morfe and Corporate Secretary Mr. Marvin Adolfo and Suzuki Foundation Inc.’s President and Suzuki Philippines’ Managing Director Mr. Norminio Mojica as well as Human Resources Department Head Atty. Joselito Calivoso Jr.
“We are always and forever grateful with our partners for without them Dualtech will not be where it is today. For the past 35 years, we have been striv ing and are contin uously working hard to develop quality - trained, skilled, productive, enlightened and morally upright persons who are potential leaders to fulfill the needs of industry and the community. Suzuki Philippines have been a great venue for our students to be trained and we are more than happy that some of our graduates are already part of the Suzuki Family,” said Mr. Morfe during the turnover. “Suzuki shares Dualtech’s goals in lessening poverty through dual - training. It has been working really well for both of us because we have produced very reliable and highly skilled employees and we can attest to that. And it is certain that Suzuki will continue to be a partner of Dualtech in the years to come ,” Mr. Mojica said during the interview. 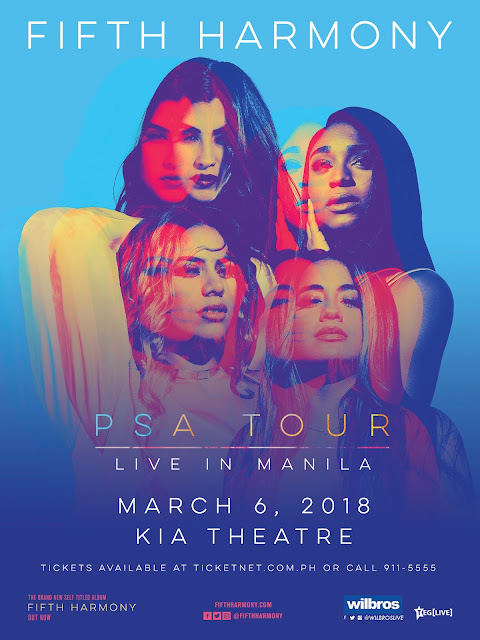 Global Pop and RnB girl group, Fifth Harmony are thrilled to announce that they are bringing their PSA Tour to Manila on March 6th, 2018 at the KIA Theatre. Manila will be one of the lucky stops in Asia before the girls go on tour in Australia. Tickets will be on-sale on Sunday, November 12 via TicketNet.com.ph. ePLDT, Inc., the industry-leading enabler of digital business solutions in the Philippines, recently collaborated with PLDT’s Corporate business arm PLDT Enterprise to hold its first annual Tech Caravan 2017: Enabling Success in the Hyperconnected World in different locations in the Philippines. Today’s technology offers infinite possibilities for businesses and the failure to integrate digital strategies into their core business plans will impede their growth in the long run. This is why ePLDT and PLDT Enterprise initiated a series of customer-focused tech fora that showcases how enterprises can boost their efficiency and collaboration, business continuity, customer engagement and IT management through business tools and services such as cloud, data center, analytics, cyber security, managed IT and digital engagement solutions. Representatives from ePLDT and PLDT Enterprise engaged with customers in Manila, North and South Luzon, and Visayas to introduce cutting-edge business technologies that are built to reshape their digital transformation journey. 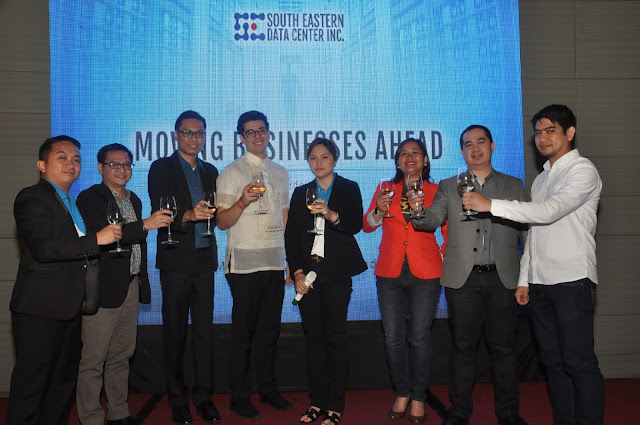 During its tech invasion in Manila, ePLDT and PLDT Enterprise made industry-focused tech sessions that benefited its customers in the retail and manufacturing, banking, financial and insurance (BFSI), IT-BPO and government sectors. According to Nerisse Ramos, ePLDT Group Chief Operating Officer, local enterprises are positioned to win in the Experience Age if their growth strategies are supported with digital tools and industry best practices. At the recently concluded Lamudi Housing Fair, the Land Registration Authority (LRA) took the opportunity to share information with the event’s attendees regarding the agency’s services that has resulted from its efforts to digitize its records and computerize its processes. Last October 13 to 15, Lamudi Philippines held its second annual Lamudi Housing Fair at Megatrade Hall 1 of SM Megamall in Mandaluyong. A gathering of the biggest names in the real estate industry, the event was inaugurated by key officials from the government’s key shelter agencies. Among them were Atty. Robert Nomar V. Leyretana, Deputy Administrator of the LRA, who updated the public about the agency’s services. According to Atty. Leyretana, the LRA has successfully computerized 159 out of the Philippines’ 167 Registry of Deeds (RD) offices through its Land Titling Computerization Project (LTCP). The implementation of the LTCP has since led to consequential services that the agency now uses to better serves its clientele. In an effort to digitally back up records and make them accessible between the RD offices around the country, the LRA embarked on the Title Upgrade Program (TUP), where physical titles are scanned and digitized for its specific RD’s safekeeping. Seeing that not all physical titles have been subject to TUP, the LRA continues to offer holders of manually-issued to visit the agency to have them updated and receive their own copies of upgraded e-Titles. Another service that Atty. Leyretana touched on was the LRA’s Anywhere to Anywhere (A2A), letting the Lamudi Housing Fair attendees know that as a result of the agency’s digitization of RDs, they can now request for certified true copies of their land titles without having to travel to the specific RD office it is kept, and instead request for it to be sent to the RD office nearest to them. According to Atty. Leyretana, this is beneficial not only to individual property buyers or sellers, but also property developers and lending institutions involved in the real estate transaction process. To get more information on A2A and other LRA’s services, all are encouraged to visit the nearest RD office or log on to the LRA’s official website. On its second installment, the 2017 Lamudi Housing Fair was held in an effort to bring together thousands of homebuyers, property investors, brokers and other real estate professionals. Reception from exhibitors during Lamudi’s past events were very positive, with many of them reporting that they were able to gather hundreds of hot leads, recruit professional and licensed brokers, and closed deals on the spot. Sharing a commitment to make the real estate process more convenient, the LRA was invited to participate in the Lamudi Housing Fair for the agency to reach a wide audience and increase awareness regarding its initiatives, and how Lamudi users can benefit from using some of the agency’s services in their property search and acquisition. For more information and highlights of the recently concluded Lamudi Housing Fair, as well as a schedule for future Lamudi events, visit www.lamudi.com.ph. It’s the last episode of the Judges’ Auditions and David Foster’s Golden Buzzer remains unused. 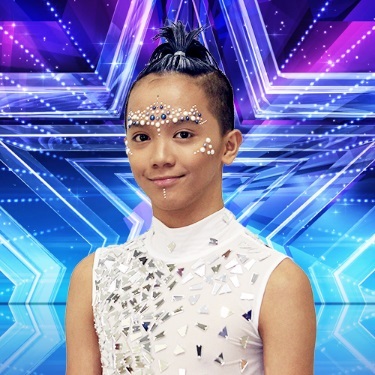 Who will be deserving of the #Dreamcrusher’s Golden Buzzer this season? You might remember Filipino beatboxer Neil Rey Llanes Garcia from season one of Asia’s Got Talent. 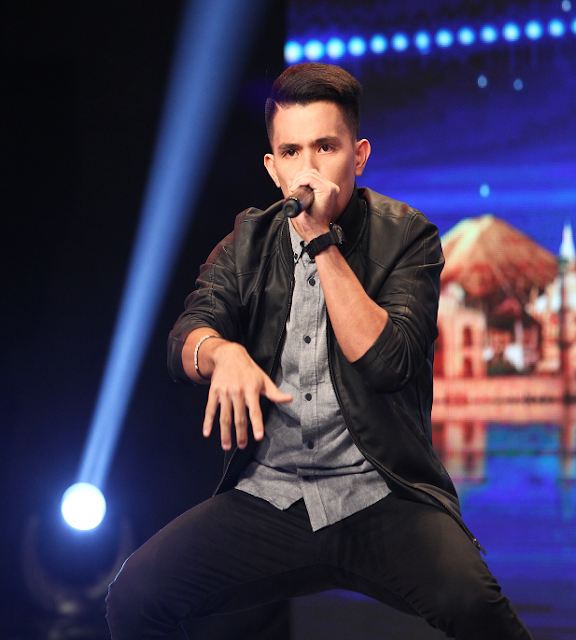 His performance from season one received four yeses from the judges but didn’t make the cut to perform in the finale. 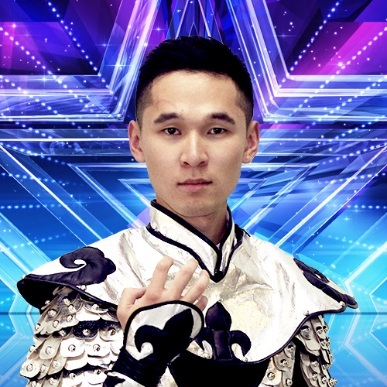 But Neil is back, better than before, with his redemption act. 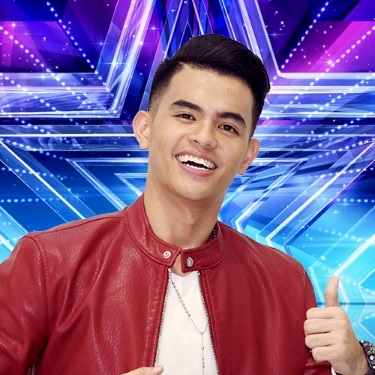 Can he impress the judges enough for a second chance? 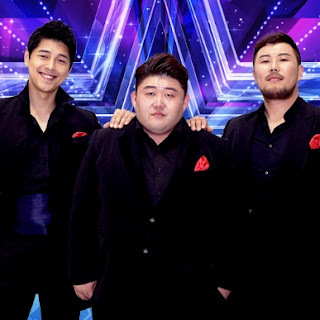 Tune in to Asia’s Got Talent this Thursday at 8:30pm on AXN to find out! As the mobile brand that connects tropas online through affordable data offers, TNT now lets you share more with the new TNT Panalo Data, which comes with 500MB data plus Facebook up to 200MB per day, valid for two days for only Php30. TNT Panalo Data gives all you need to stay active on all your group chats and access your favorite apps to bond with your tropa, catch the latest viral videos, and listen to chart-topping songs online. To register, simply text PDATA30 to 4545. With TNT Panalo Data, you get 500MB data, which is more than enough to connect with your tropa via top chat apps such as Messenger, Telegram, Viber and WhatsApp, and keep up with the latest conversations in your group. You may also use your 500MB data to sign in to your favorite social media apps, such as Instagram and Twitter, and get looped in with everyone’s latest posts, stories, and musings. Moreover, TNT Panalo Data gives you access to Facebook, the world’s largest social network, so you can check the latest viral posts and trending topics your tropa is crazy about, and keep track of their must-not-miss updates. With its new offer, TNT bolsters its image as the mobile brand that gives tropas budget-friendly data offers and services so you can share more experiences online and strengthen your tropa bond wherever you are. TNT’s latest data offer is powered by Smart’s newest and fastest LTE network, allowing you to enjoy fast and reliable connectivity for your favorite online activities. To make the most of this ultrafast LTE connectivity, make sure you avail of the new TNT LTE SIM and slot it in your LTE-ready smartphone, or head to the nearest Smart Store to swap your old TNT 3G SIM with the new TNT LTE SIM for FREE, without changing your number. To know more about TNT’s perfect offers for your tropa connections, visit www.TNTph.com, and follow TNT’s official accounts on Facebook (facebook.com/TNTph) and Twitter (@TalkNText). For the TNT’s latest promos, dial *121#. Transportation Secretary Tugade to I-ACT: "Step Up Anti-Illegal Parking Ops!" With the renewed initiatives of the Inter-Agency Council on Traffic (I-ACT), Department of Transportation (DOTr) Secretary Arthur Tugade has ordered intensified anti-illegal parking operations to further ease traffic conditions. The transportation chief instructed Undersecretary for Road Transport and Infrastructure Thomas Orbos to double their efforts in clearing sidewalks and major thoroughfares of obstructions, including illegally parked vehicles and structures. Undersecretary Orbos, who is also concurrent Metropolitan Manila Development Authority (MMDA) General Manager, heads the reinvigorated I-ACT. 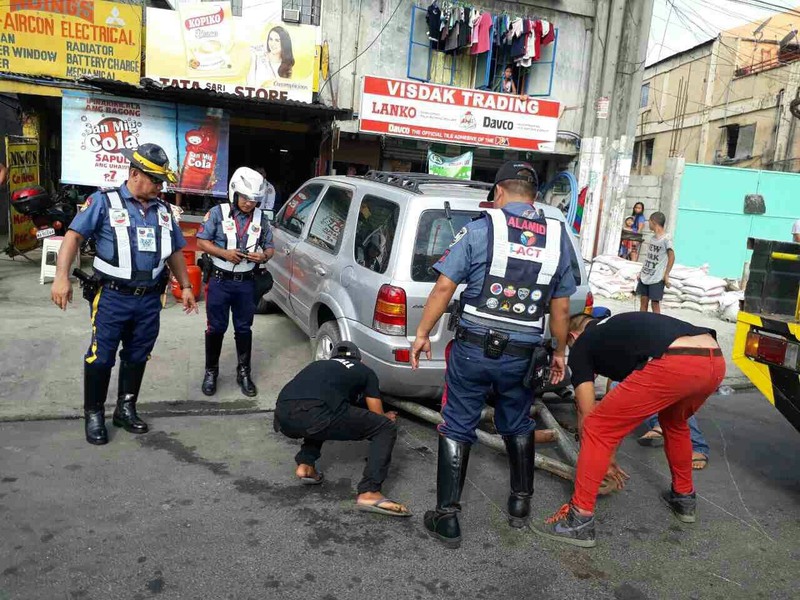 During the All Saints’ Day/ All Souls’ Days break, the members of I-ACT’s Task Force Alamid cleared several roads and sidewalks in Pasay City and Baclaran area of illegally-parked vehicles for unobstructed movement of pedestrians and motorists. 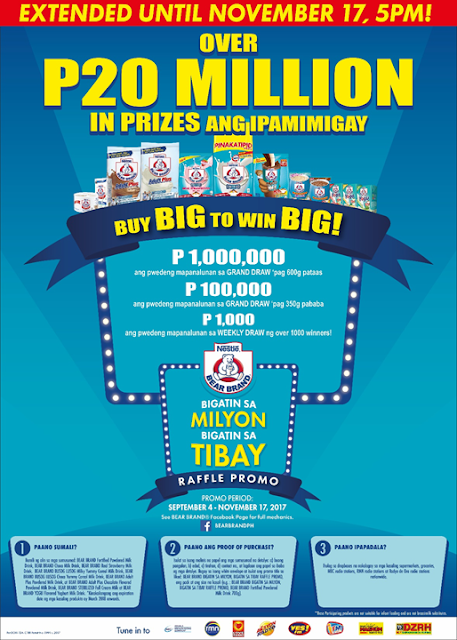 BEAR BRAND Fortified Powdered Milk Drink’s Bigatin sa Milyon, Bigatin sa Tibay Raffle Promo is EXTENDED! Good news! BEAR BRAND Fortified Powdered Milk Drink (PMD) is giving you more chances to win big as it extends the submission of entries for the Bigatin sa Milyon, Bigatin sa Tibay Raffle promo until November 17, 2017 at 5 pm, only. Hurry and submit your entries now for a chance to be one of the lucky winners of over Php20-million in prizes. Win as much as Php100,000 cash prize by simply buying and collecting small empty packs and labels of any of the participating BEAR BRAND Fortified PMD products with an expiration date of March 2018 onwards. But if you want to win bigger prizes, purchase and collect bigger packs (600g and up) to get a chance to win the Php1 Million grand prize! Philippine Xiangqi Federation, supported by the Philippine Sports Commission (PSC) and Filipino Chinese Amateur Sports Federation, on November 8 announced the Philippines’ hosting of the 15th World Xiangqi Championship at the Pandesal Forum with media at 78-year-old Kamuninbg Bakery Café in Quezon City. They announced this biennial international event will be held on November 14 at the Manila Hotel and with 26 countries competing. The last World Xiangqi Championship was hosted by Munich, Germany in 2015. Xiangqi (pronounced as “xiang-chi”) is a 2,500-year-old ancient Chinese chess game, the event’s hashtag is #ChineseChessManila2017. Philippine Xiangqi Federation is led by President Wilson Tan, EVP Charles Chua and honorary president Jackson Hong; while Filipino Chinese Amateur Athletic Federation was founded by philanthropist Jimmy Chan Cuan and headed by president William Gosiaco. Among 26 countries competing at the 15th World Xiangqi Championship include host Philippines; Asean’s Malaysia, Singapore, Thailand, Indonesia, Vietnam; east Asia’s China, South Korea, Japan; North America’s U.S. and Canada; Europe’s like Germany, Netherlands and others; etc. The Philippines’ three competitors are led by grandmaster Engr. Asi Ching. 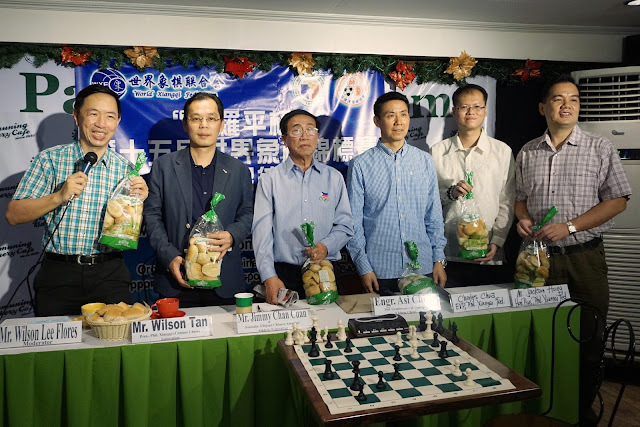 PXF and FCASF officers said Manila’s hosting the 15th World Xiangqi Championship is a great honor for the Philippines, it will also promote the country’s booming tourism and positive global image. They said xiangqi and other sports should be promoted nationwide, because sport is beneficial for improving mental and physical health. PXF and FCASF thank the Philippine Sports Commission (PSC) and other supporters behind this event. 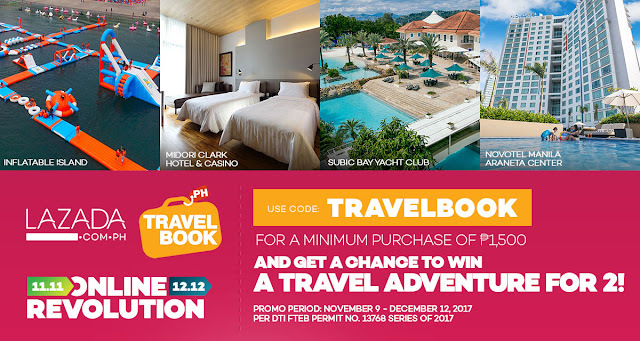 TravelBook.ph, the leading online travel agency (OTA) in the Philippines, is giving away free staycations and adventure passes at the much-awaited Online Revolution of Lazada.ph! TravelBook.ph will be giving away exciting raffle prizes to ten (10) lucky online shoppers on the 6th Online Revolution of Lazada.ph! From November 9 to December 12, 2017, all customers with a minimum purchase of PHP 1,500 at Lazada.ph will have a valid raffle entry if they also enter the promo code TRAVELBOOK before proceeding with the payment. · Inflatable Island Soaked Play Passes (All day access) good for four (4) pax. The raffle will be drawn on December 18, 2017 at the Lazada office and will be announced on Lazada’s website and Facebook page no later than January 18, 2018. The lucky winners will be notified via phone and email as well. Apart from a chance to win these travel experiences from Travelbook, Lazada’s Online Revolution Sale offers customers a chance to shop the universe. With over 25 million items to choose from, discounts at up to 95% off, flash sales, and daily promotions, Online Revolution 2017 is sure to be out of this world. TravelBook.ph is loaded with partnerships from different giant brands to give all travelers with exciting promos and huge discounts! To get the latest promo and discount updates, please visit https://www.travelbook.ph. 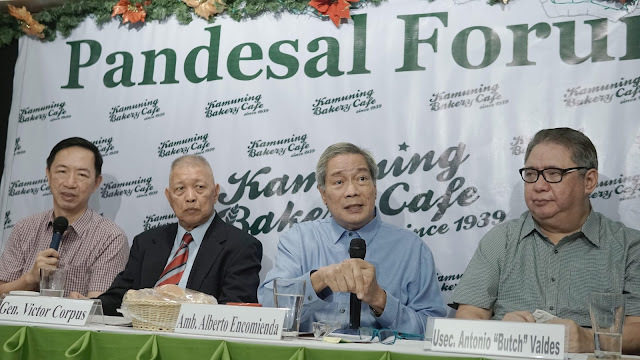 Diplomacy and geopolitics experts lauded the Philippines’ leadership of the Asean economic bloc in helping make the region “a zone of cooperation and trade, instead of a region with intractable confrontation and conflicts” at the non-partisan Pandesal Forum of Kamuning Bakery Café in Quezon City. They said the Philippines as leader of Asean, now perceived as a non-aligned and independent nation in geopolitics, can also possibly help diffuse the North Korea crisis with peace and dialogue overtures. Maritime issues expert former Ambassador Alberto Encomienda, defense expert Brig. General Victor Corpus and geopolitics analyst former Education Undersecretary Butch Valdes congratulated the Philippines’s chairmanship of the Association of Southeast Asian Nations (ASEAN) and hosting of the forthcoming 50th anniversary summit in Manila, saying that President Rody R. Duterte’s independent foreign policy has helped stabilize the region on territorial disputes and won over all the world’s big powers U.S., China, Russia and Japan as friends of the Philippines. Gen. Victor Corpus said that if the Philippines had insisted in the previous policy of a “win-loss” approach to the territorial dispute with China over the West Philippine Sea/South China Sea, of having the Philippines win a “total victory” at the Permanent Court of Arbitration in the Hague and forcing China to accept a “total loss” position, then this approach will result in a strategic loss for the country because China doesn’t recognize the non-United Nations arbitration body and didn’t participate. General Corpus said that the Duterte administration’s “win-win” approach of allowing the Philippines to win and also seeking mutually acceptable win or benefits for the country’s ancient friend China, this is the best realpolitik and strategic approach. Corpus urged both the Philippines and China to not argue about sovereignty ownership based on overlapping legal and historic claims, but to pragmatically pursue win-win cooperation of joint exploitation of any natural or mineral resources, joint development of tourism in those disputed areas and joint cooperation in fisheries. Gen. Corpus reminded the world that the Philippines used to benefit from an earlier version of the China-led Maritime Silk Road which was called the “Galleon Trade”, with Manila serving as crucial and strategic entrepot between China’s exports of silk and porcelain passing Manila then going to Acapulco in Mexico and then on to Seville in Spain and Europe. He said the Philippines’ revival of our ancient bilateral ties with China will make the country benefit from the 21st century Silk Road vision of China’s President Xi Jinping called the “Belt and Road Initiative” (BRI). When asked why China has been building artificial isles in the disputed areas of South China Sea, General Corpus analyzed that the Straits of Malacca is crucial economically and strategically for the world’s second biggest economy of China due to its massive oil imports and huge exports passing that sea lane, which China wants to safeguard and keep always open. On the Scarborough Shoal issue, General Corpus asserted that this area called Manila Trench is the deep sea part of the South China Sea where USA’s nuclear submarines can maneuver and also possibly threaten the industrial/economic belt of China, therefore it is logical for China’s leaders to consider that area as strategic for its national security. General Corpus said that President Duterte’s cooperation policy with China and independent foreign policy shall continue to benefit the Philippines economically, strategically and diplomatically now and in the long-term. Undersecretary Butch Valdes said President Duterte’s leadership of Asean and championing an independent foreign policy shall allow the Philippines to benefit from the world’s biggest ever transcontinental infrastructure development program led by China called Belt and Road Initiative (BRI). · Cloudable, SEDCI’s brand of IaaS (Infrastructure-as-a-Service), is easy to deploy and immediately accessible to users through the virtual platform. SEDCI handles the IT infrastructure including the network, power, and physical servers while providing access to virtual servers so users can cater to their customers’ requirements. Cloudable does not require long-term commitment and delivers a service that reduces the risk of failure while providing business solutions that are cost-effective and efficient. · Cloud Appclick, SEDCI’s Human Capital Management solution which run on Software-as-a-Service platform, offer better management of human resources. Its fully automated HR solutions are user-friendly and flexible for users with minimal training so that the business can focus on growth and expansion. This cloud-based solution syncs accounting data into a single database in the cloud and throughout all authorized devices. It keeps track of sales anywhere and creates invoices where ever using accurate finance data that are also securely backed-up. Collaboration among multiple users is seamless while still allowing the business control over accessibility of its online data in a secure cloud environment. · Cloud Applus offers essential apps such as SMS, Voice, Charging, and USSD APIs that allow even SMEs to reach out to their target market on time. Aside from APIs, SEDCI Cloud Applus also includes various other platforms to connect, create, access, and control through numerous applications powered by GSuites. · SEDCI Circuit Connectivity Services is a redundant network infrastructure that receives dedicated international circuits which are managed 24x7. With a large network coverage of local loops serving as direct connection to SEDCI data center, this unique facility offers the space and security for any type of company. These connectivity services can cater to small businesses, growing companies, and large enterprises with multiple options based on their needs. · SEDCI’s Managed IT Services employ a pool of IT professionals well-versed in the latest technologies and are well-equipped in handling IT operations and resources to support secure, highly available and flexible IT systems . SEDCI’s team of experts proactively monitors and manages the client to support high availability and is readily on-call to efficiently and swiftly address IT concerns. We are people’s organizations, social movements and NGOs of youth, children, women, workers, older people, indigenous groups, persons with disabilities, LGBTIQ and other sectors, including academics from the ten (10) ASEAN countries plus East Timor. We have been engaging the ASEAN and its member states for twelve (12) years now. In conjunction with the 31st ASEAN Summit that also marks the 50th year of the ASEAN, we are organizing the ASEAN Civil Society Conference/ASEAN People’s Forum 2017 that will be held at that University of the Philippines, Diliman Campus starting today until November 14. Similar to previous ASEAN summits, we are again conducting our own parallel activities and solidarity gathering to traverse the landscape of challenges within the ASEAN as well as present peoples’ viable alternatives for the future of peoples in the region. We see the ASEAN as a strategic platform to engage member states and their mechanisms to advance peoples’ interests and address issues concerning development, trade, environment, migration, peace, security and human rights. The official ASEAN theme for this year is “Partnering for Change, Engaging the World.” Yet, we find it ironic that ASEAN’s yearning for partnership continues to exclude and marginalize the very people that it claims should be at the center of development. In its 50 years of existence, the ASEAN has provided limited spaces for peoples’ participation as it crafts and develops most of its policies and programs to primarily serve big business interests over people’s economic, social, cultural, civil and political rights. The concerns of the marginalized and exploited often remain unaddressed while corporate greed and abuse of power are generally unfettered. And today, this trend is reaching alarming proportions as democratic spaces further shrink and human rights violations abound with the rise of authoritarian rule among ASEAN governments and their use of repressive measures to curb dissent. The ASEAN may have advanced significantly in incorporating human rights to its principles, but it seems only to be on paper. Human rights violations have been very evident in the continuous threats and actual subjugation of democratic rights, fundamental freedoms and economic rights in the region. ASEAN is not a safe place for human rights activists and defenders, journalists and people who have progressive and modernizing ideas. Ethnic and religious minorities across the region are being repressed, raped, and attacked, including, most dramatically, the Rohingya as well as the peoples from Patani, Papua and Mindanao. The violent crackdown on dissent has reached alarming levels, as shown by the experiences of political parties, media and civil society in Cambodia; dissenting voices in Thailand; human rights defenders, LGBTIQ people and victims of past human rights violations in Indonesia; and activists, specifically the Bersih movement in Malaysia. The extra-judicial killings in the Philippines reaches to thirteen thousand and still counting. The increasing use of the death penalty as threat and punishment in the region is a further cause of concern. Furthermore, throughout ASEAN’s 50 years, majority of the people have been suffering from social and economic insecurities. More than 50 percent of workers are in precarious condition – without regular jobs and suffering from poverty-level income. The average number of ASEAN women who are in vulnerable employment is slightly above 60%, unprotected and not covered by labor laws or social protection. And only 27% or 2 to 3 in every 10 persons have protection. Despite commitments made by governments across Southeast Asia, workers in many countries are still prohibited from forming independent trade unions. Labor policies across ASEAN states do not protect people from employment and discrimination based on various grounds such as disability, sexual orientation, gender identity and expression, and ethnicity. Indeed, change must happen. But this change must transform the existing systemic inequalities and injustices towards a socially-responsive and rights-based ASEAN. 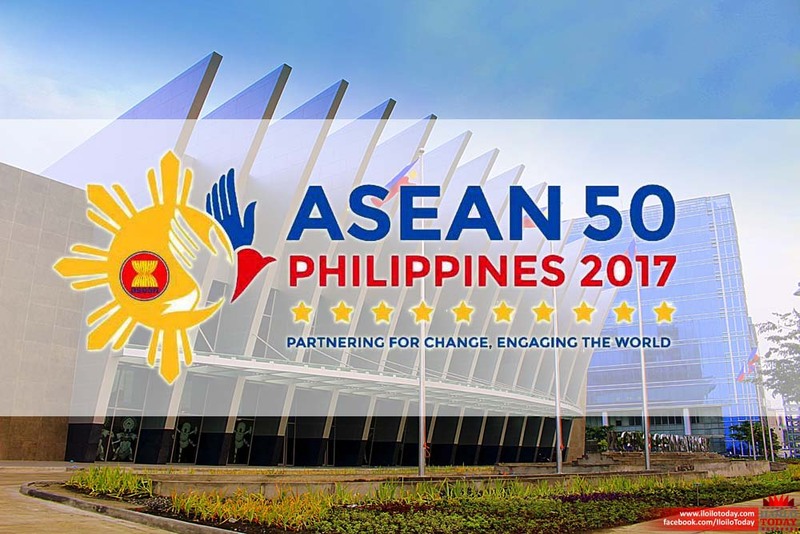 The 50th year of ASEAN should be a year to realize the hopes of its people that is anchored on human rights, promotes non-discrimination, equality, and inclusive development. This year, the ASEAN should make a shift to a truly people-centered sharing and caring community with the people as its main and primary partners. We call for the strengthening of the mandate of ASEAN Human Rights Mechanisms from the promotion of human rights to monitoring, investigating, commenting and recommending binding solutions to address human rights issues in the region. In connection with the decision at the ASEAN Summit to postpone the application process for East Timor to be part of ASEAN, we call for the government of East Timor and the ASEAN member-states to take this opportunity and review consultations with the peoples of East Timor that were conducted and prioritize their membership in the ASEAN without sacrificing the economy, resources and peoples’ rights. We call for a stronger solidarity among the people of ASEAN beyond nationalities and identities to stand together and defend our rights for a better Human Rights situation in ASEAN. Overall, we hope to see an ASEAN that dares to truly care and partners with people first. And, together with other grassroots communities, social movements and civil society organizations, we will persist in demanding for an ASEAN For the People that works With the People. 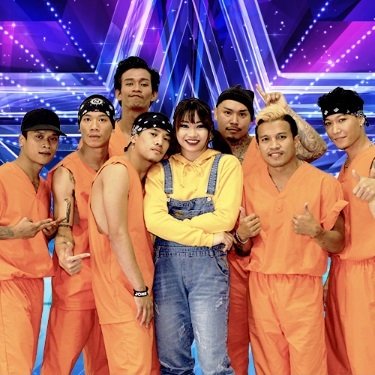 The toughest college students showed what they’ve got at the 6th AXN University Challenge. Under the event, AXN mounted the world’s first university obstacle sports competition which was held in cooperation with the country’s top universities in Metro Manila from September to October 2017. For four days, participating college students proved their competitive determination as individuals and as teams of three to overcome a series of physical challenges which tested their speed, agility, and endurance. The first leg of the competition kicked off on September 29 at the University of the Philippines (UP) Diliman, with the succeeding legs held on October 6 at National University (NU), October 13 at De La Salle University (DLSU), and October 25 at University of Santo Tomas (UST). Each leg featured eight obstacle courses, namely: AXN Wall Under and Wall Through, Mitsubishi Mirage Wall Climb, Shakey’s Box Jumps, Mentos Log Carry, Tire Flip, Mogu Mogu Slippery Wall, and Monkey Bars. The largest sports media property in Asian history, ONE Championship (ONE), had another memorable and historic evening in Manila as the capacity crowd at the Mall of Asia Arena witnessed an amazing display of heart-pounding martial arts action. ONE: LEGENDS OF THE WORLD featured a series of compelling bouts, punctuated by two unforgettable championship clashes that left fans on the edge of their seats. In the main event, ONE Featherweight World Champion Martin “The Situ-Asian” Nguyen knocked out Filipino martial arts superstar Eduard “Landslide” Folayang to capture the ONE Lightweight World Championship, becoming the first two-division champion in the promotion’s history. In the co-main event, Adriano “Mikinho” Moraes of Brazil retained the ONE Flyweight World Championship with a quick victory over Danny “The King” Kingad of the Philippines. In the main event of ONE: LEGENDS OF THE WORLD, Martin “The Situ-Asian” Nguyen wrote his name in history books as the first man to hold two world titles simultaneously in ONE Championship by knocking out Eduard “Landslide” Folayang. After plastering each other with hard strikes in the first round, both men picked up where they left off in the second stanza, when Folayang and Nguyen continued to trade heavy blows at the center of the cage. When Folayang launched his patented spinning backfist, Nguyen saw an opportunity to turn the lights off on his Filipino foe by uncorking explosive signature right hand. With his remarkable conquest of Folayang, Nguyen now has both the ONE Featherweight World Championship and ONE Lightweight World Championship titles in his possession. Martin Nguyen, newly-minted ONE Lightweight World Champion, stated: “This is a special place for me. Last year, I came in and won Fight of the Night, right now it's possibly the Knockout of the Night. I think coming into the fight my main objective was a TKO or a submission. Eduard, I still love you like a brother, I hope you're fine and I hope you come back stronger. I'm still your number one fan." In the co-main event of the evening, Adriano “Mikinho” Moraes remained the undisputed king of ONE Championship’s flyweight bracket, denying Danny Kingad’s bid to become a world champion by submitting the Filipino talent with a rear-naked choke in the first round. Moraes put on a masterful performance, pacifying Kingad’s striking advantage in the early going as the Brazilian grappling expert utilized his high-level ground game. On the mat, Moraes executed a forceful transition into a rear-naked choke that left Kingad no choice but to submit in the final seconds of the round to retain his ONE Flyweight World Championship. Filipino knockout artist Kevin “The Silencer” Belingon captured another sensational victory in front of a jubilant hometown crowd by routing South Korean-American dynamo Kevin “Oldboy” Chung, solidifying his position as a top contender in the stacked bantamweight division. Belingon effortlessly dictated the pace in the stand-up, where his opponent was at a stylistic disadvantage. The Baguio City native frequently caught Chung with crushing right crosses and lashing kicks to the body from bell to bell. Chung tried to change the complexion of the match by resorting to his superb grappling skills, but Belingon’s defense against submission attempts was enough to steer him to a unanimous decision triumph. Previously unbeaten Japanese prospect Hayato Suzuki bowed down for the very first time in his professional career as he yielded to Brazilian jiu-jitsu world champion black belt Alex “Little Rock” Silva. Both combatants started out aggressively, but it was SIlva who showed a more capable set of grappling skills. Silva spun a web of crafty grappling to overwhelm Suzuki as the Brazilian was able to get the submission finish in the first round, making Suzuki tap from an armbar. Former world title contender Reece “Lighting” McLaren found a new home at flyweight as he pulled off a successful submission victory by defeating flyweight mainstay Anatpong Bunrad. Debuting effortlessly in his new weight class, McLaren showcased his fluid grappling skills and solid striking. With a mere eight seconds remaining in the very first round, McLaren caught Bunrad in an anaconda choke and transitioned into a D’arce choke to force the tap. Chinese martial arts superstar “The Ghost” Zhao Zhi Kang made an astounding statement in his first assignment as a ONE Championship competitor, submitting Cambodian standout Thai Rithy in the first round. With a game plan to take matters to the ground, Zhao got the job done by fastening a rear-naked choke to force the tap from Rithy. Team Lakay’s highly-touted atomweight prospect Gina “The Conviction” Iniong extended her winning streak inside the ONE Championship cage with an outstanding second-round finish of Indonesia’s Priscilla Hertati Lumban Gaol. With a diverse striking arsenal, Iniong unloaded her signature right hand on multiple occasions, finding the mark. In the second frame, Iniong found an opening to take Gaol down to the mat. Applying a crucifix, Iniong delivered a flurry of ground punches to force the referee to step in and call a halt to the contest. In a battle of former world title challengers, Joshua “The Passion” Pacio emerged victorious against veteran martial artist Roy “The Dominator” Doliguez by notching a highlight-reel knockout in the second round. The young Team Lakay standout exhibited stellar form from the get-go, wearing down his fellow Filipino opponent with impeccable grappling and heavy high kicks. Hungry to place himself back on the winning track, Pacio put the finishing touches in the second frame, where he unleashed a well-timed spinning back-fist that sent Doliguez crashing down to the canvas. After an impressive promotional debut in Shanghai, China last September, Xie Chao made his trip to Manila a memorable one by picking up his second-straight win in ONE Championship at the expense of Malaysia’s Kelvin Ong. Xie easily staggered Ong with a hard knee, giving him the leverage to convert a takedown. Employing sturdy top control, Xie drilled Ong with crisp elbows to get the stoppage in the opening stanza of the featherweight showdown. A three-round strawweight encounter set a promising tone for the entire evening of ONE: LEGENDS OF THE WORLD as Peng Xue Wen collided with Phat Soda in the curtain-raiser for the event. Peng, a National Youth Greco Wrestling Champion, left a lasting impression in his maiden trip to the ONE Championship cage by scoring a knockout victory over Soda with a high-impact slam in the first round. 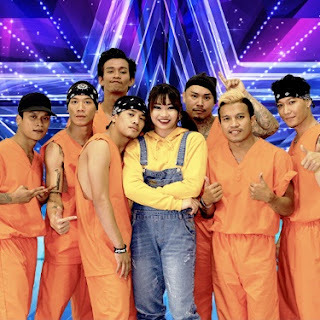 Beverly, a Filipina J-Pop star and award-winning vocalist at various music festivals across America and Asia, will be the special guest for the ASEAN SUMMIT 2017. 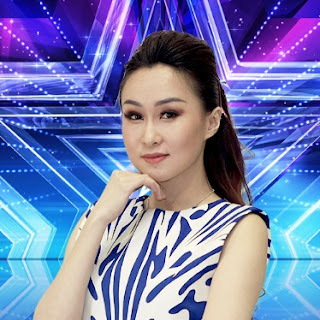 A finalist in the 29th Awit Awards for the Best Performance by a New Female Recording Artist category, Beverly was also the voice behind 'Maari Ba?' 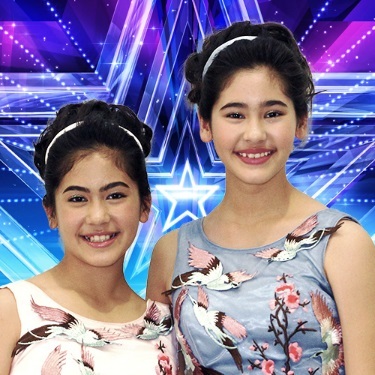 the theme song of Two Mothers, which aired in GMA Network in April 2015. 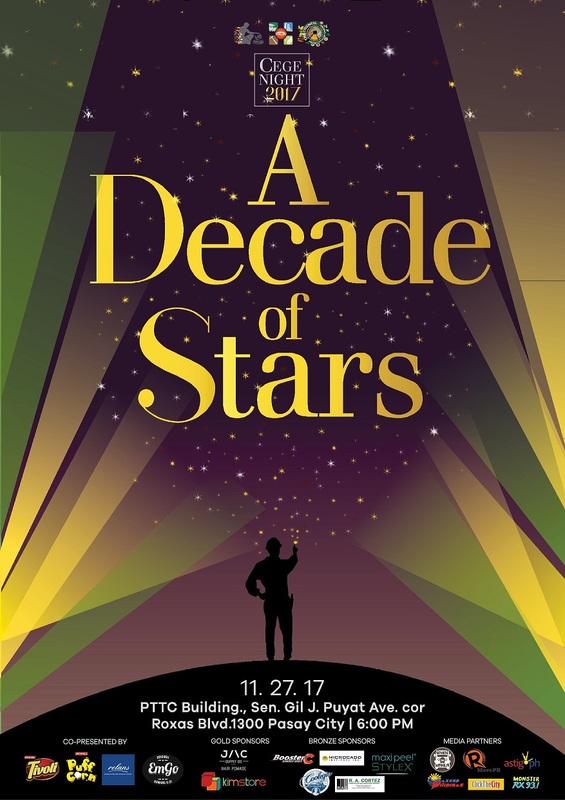 To conclude the week-long celebration, the SCEGE Student Council proudly presents the most awaited night in the celebration of the school week. This will also serve as the closing night for the week-long celebration. The night will mainly include the casual, theme and formal wear competition, a social gathering to remember, an after party for the audience to enjoy and the awarding for the over-all champion for the 2017 Inter-Org Competition. This will also enhance the level of competitiveness of organizations in a healthy manner and provoke them to do their best in each individual event they will be conducting for the whole school year. The event will also create unity and camaraderie among the student body and the organizations. The event will be held on the Philippine Tade Training Center Building, Sen. Gil Puyat Ave. cor Roxas Blvd. 1300 Pasay City at 6:00 pm. We all have our goals: #SquadGoals, #TravelGoals, #RelationshipGoals, and the list goes on. But these student leaders from Manila have their own unique goal, not just for themselves but for the Philippines and the whole world. 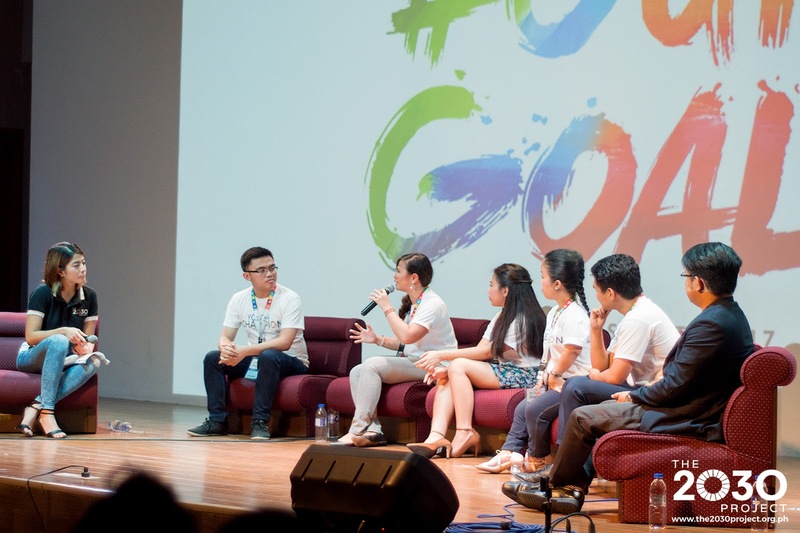 Now on its 2nd year, the organization proudly launched the LEADers Unite 2017: #OurGoals, a one-day seminar-workshop which aims to create awareness about the 17 SDGs, to craft sustainable and inclusive community based projects, and to build an active community of Filipino youth leaders that will collaborate towards the attainment of the Sustainable Development Agenda by 2030, with the theme “The future we, ASEAN leaders, are going to create.” LEADers Unite 2017 aims to tackle today’s compressing issues: poverty, inequalities, and climate change. The summit was divided into three panel sessions: End Poverty, Fight Inequalities, and Tackle Climate Change, which featured 17 Youth Champions who consistently created a sustainable impact in their own communities with their advocacies and prominent thoughts as leaders across different sectors. 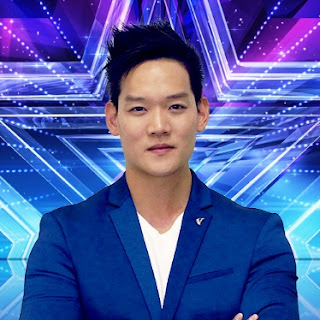 It was just a few weeks ago when I was discussing with the Lenovo Philippines Country General Manager Michael Ngan about the next technology offering of Lenovo, when he said they were to introduce Virtual and Augmented Reality (VR and AR) integrated with their devices, and true enough their latest event featured such technologies. Capitalizing on the popularity and upcoming new movie of Star Wars, Lenovo held an event on November 8, 2017 at Chaos City of Dreams Manila featuring their partnership with Disney and the Star wars franchise. 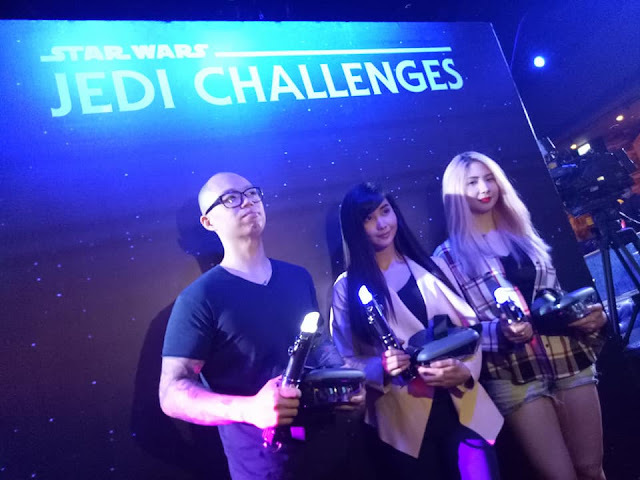 Special appearance of cosplay and gaming icons Alodia Gosiengfiao and Ashley Gosiengfiao, plus YouTuber Chris Cantada made the launch more interesting as we get to interview, take photo ops and selfies with the three as they endorse Lenovo's latest product offerings. Techies will surely highly anticipate the availability of the smartphone-powered augmented reality gadgets composed of a headset, lightsaber, and tracking beacon - all inspired by Star wars. The Department of Energy (DOE) is moving fast to contain the oil spill that occurred on November 6 within the vicinity of the DMCI Power Plant in Brgy. Sta. Isabel, Calapan City. "The DOE is primarily concerned with the safety of the people in the vicinity,” Cusi said as he directed the DOE to coordinate with concerned industry players for regular updates on the containment activities, and information on the cause of the oil spill. The DOE emphasized that during incidents like this, protocols to be followed should be in accordance with Department Circular No. ‎‎98-02-003 directing all operations of oil rigs or platforms, power plants, oil tankers and barges carrying, producing and/or utilizing crude oil-based products to report all oil spills or environmental incidents to the Department of Energy within 8 hours for verbal/preliminary report and 48 hours for written report. and honor the movers in the advocacy. Asia’s Songbird Regine Velasquez-Alcasid leads the popular and phenomenal artists who will be showcasing their talents in a night of special performances at the Love Gala charity and awards fundraiser. A staunch supporter of the HIV-AIDS advocacy, Regine appeared alongside other celebrity-advocates in an awareness campaign video that went viral online earlier this year. She continues her advocacy this December 1 on World AIDS Day by performing at the Love Gala, Asia’s Premier Charity and Awards event, at the BGC Arts Center. 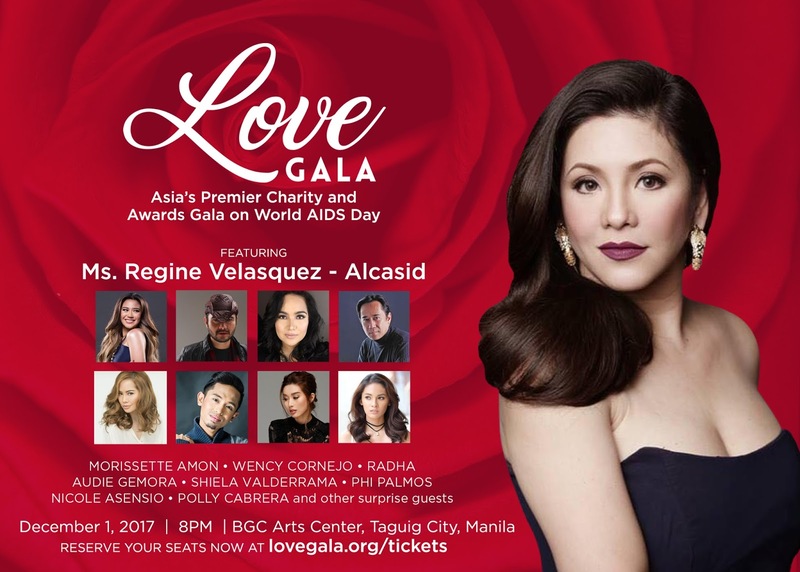 Aside from Regine, the other artists performing at the Love Gala include Asia's Phoenix Diva Morissette Amon, Hanggang singer Wency Cornejo, and respected theater actor Audie Gemora. Also lending their beautiful voices to the Love Gala are Radha Cuadrado, Shiela Valderrama, Nicole Asensio, Phi Palmos, and Polly Cabrera. 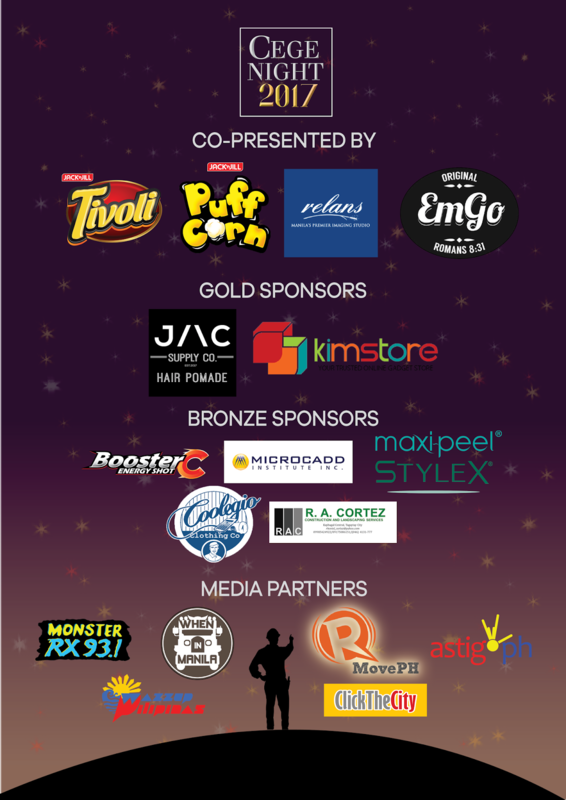 In between these star-studded performances, the Love Gala will also honor the first-ever Ripple Awards winners, 10 brave individuals who have made a significant impact in spreading HIV-AIDS awareness, stopping the spread of the virus, and helping to fight the stigma suffered by their communities. Tickets to Love Gala can be bought at lovegala.org/tickets, with 10% of ticket prices going to HIV-AIDS organizations to help fund their life-saving health programs. The Love Gala is a collaboration among private and public institutions and youth-oriented organizations that want their HIV-AIDS advocacy efforts to reach a larger mainstream audience. According to the latest data from then Department of Health, around 30 incidences of HIV infection are observed every day in the country. Institutions and organizations coming together for Love Gala are the following: AIDS Healthcare Foundation, Better Together Initiative, Black Maria Pictures, Castro Communications, Decent Image of South Signal Association (DIOSSA), Dentsu Jayme Syfu, Nectar Nightclub, Philippine National AIDS Council, Pilipinas Shell Foundation Inc., Pinoy Plus Association Incorporated, Positibong Marino Philippines, Sustained Health Initiatives of the Philippines (SHIP), Taguig City Government, The Red Whistle, The LoveYourself Incorporated, UNAIDS, the US Embassy and World Health Organization-Philippines. LEVEL UP: Speaking on behalf of DOE Secretary Alfonso G. Cusi during the National Power Corporation’s (NAPOCOR) 81st Anniversary, Usec. William Felix Fuentebella challenged the power firm to further raise the bar of excellence, stepping up their performance to ensure the delivery of quality, reliable and affordable electricity services, especially to far-flung off-grid areas. Energy Secretary Alfonso Cusi urged the National Power Corporation (NAPOCOR) on Monday to work for a more stable and affordable power supply as the government moves for the total electrification of the country, specially the far-flung communities. Cusi made the exhortation through Energy Undersecretary Wimpy Fuentebella who represented the DOE chief on the occasion of NAPOCOR’s 81st anniversary celebration held at the NPC building in Quezon City. Cusi stressed that the Duterte administration wants to provide power to all of the remote, underserved or unserved areas in the Philippines. “In serving the country’s peripheries, the NPC must double its efforts to lower electricity prices, achieve stable power supply and enhance the resilience of electric power infrastructures to ensure continued growth,” Fuentebella said. During the NAPOCOR anniversary program, the Missionary Electrification Development Plan (MEDP) was highlighted as the DOE’s vision and ‎‎2016-2020 roadmap for off-grid power development projects. With the National Electrification Administration (NEA), NAPOCOR will move to provide resilient, reliable and high-quality electricity services to off-grid provinces in the country. “All these require the re-thinking of our current electric power infrastructure,” said Fuentebella, who batted for the introduction of innovative and emerging technologies. 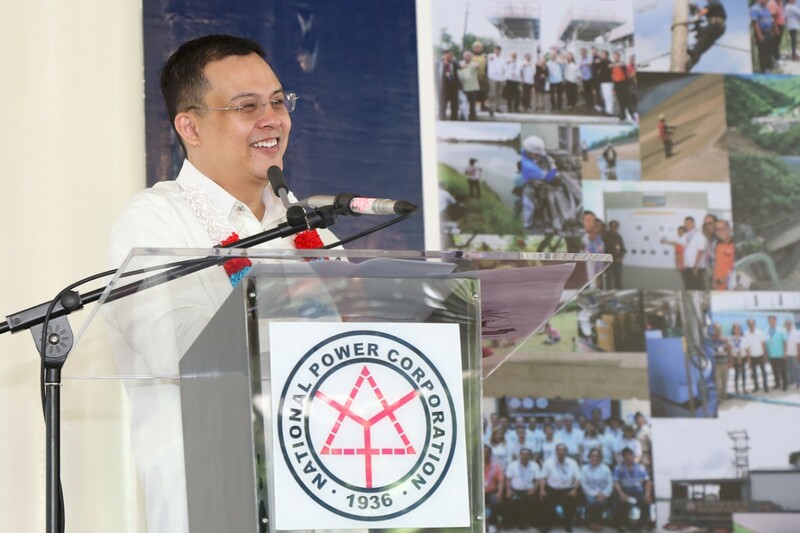 During the celebration, NAPOCOR President Pio J. Benavidez turned over to the DOE a copy of ‎‎‎‎2018-2022 National Power Corporation Missionary Electrification Plan (MEP ‎‎‎2018-2022) which forms a major part of the MEDP. The rationalization of the Universal Charge for Missionary Electrification (UC-ME) should make the power industry in off-grid areas more self-reliant and less dependent on subsidies in the long run, said the DOE official. “I understand that there is so much to be done. But looking ahead, all this would mean that the country’s rural communities would be in a far better position than they are today,” Fuentebella said. The DOE underscored the role NAPOCOR plays in the energy sector’s total electrification goal as mandated under the Electric Power Industry Reform Act (EPIRA) of 2001. 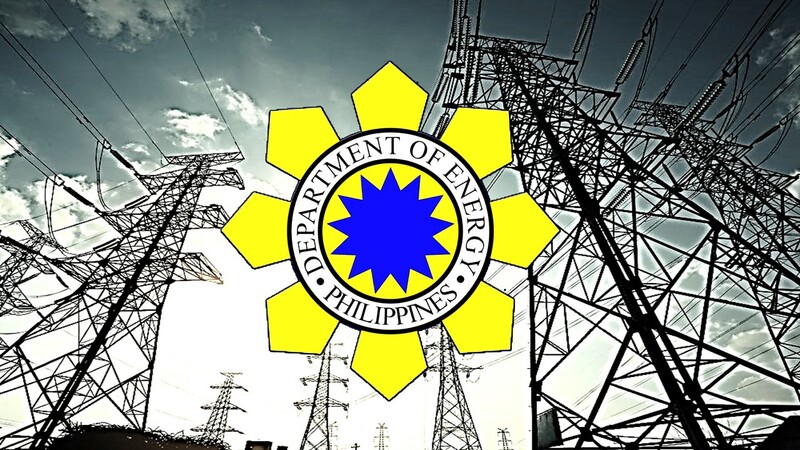 Due to the influx of new economic activities and eco-tourism in off-grid provinces, additional power supply is needed to be consistent with the government’s objective of bringing economic development in these areas, the DOE concluded.